Aging is something that we all go through. However, there comes a point where we need to pro-actively pay attention to our health. 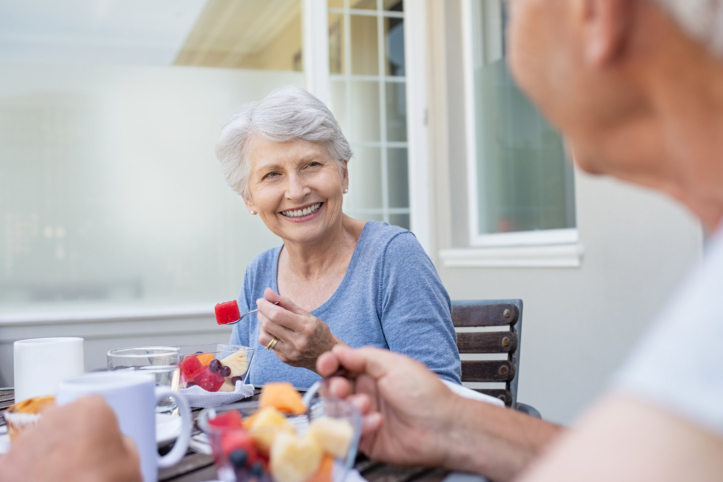 Making healthy life choices has always been important but as we age, they can really make the difference between remaining independent and requiring home health care in Des Plaines, Illinois. One of the best ways to maintain a healthy lifestyle is through your diet. The main benefit of maintaining a nutritious diet is improved health. Food can impact every single aspect of your health from your eyesight to your immune system. For this reason, it is important to have a balanced diet that can help improve your health and fill in nutritional gaps. To further enhance these benefits, you can also take dietary supplements such as vitamins. Eating right can do a lot for not only keeping you healthy but also preventing numerous health conditions. It does this by helping improve your immune system, which will protect you against some of the more common illnesses but it can also protect your body against some serious and potentially fatal health conditions which reduces your early chances of needing skilled nursing in Illinois. Certain kinds of food can be used to reduce your risk of cancer, heart disease, dementia, and more. Eating right can help improve the amount of energy you have. This will make it easier for you to pursue the things you love and you can use this additional energy to exercise, which will only help you feel even better. Eating right and having an active lifestyle will help you feel years younger and it will allow you to keep on doing the many things that you love, despite your age. Those are just a few of the many reasons why it is so important to have a nutritious diet at an advanced age. If you would like to find out more about eating right or if you are interested in our superb medical social services and home healthcare staff, please feel free to get in touch with Holistic Health Partners, Inc. for more information anytime. This entry was posted in Healthcare and tagged Elderly's Eating Right, Health Condition, Senior Care. Bookmark the permalink.